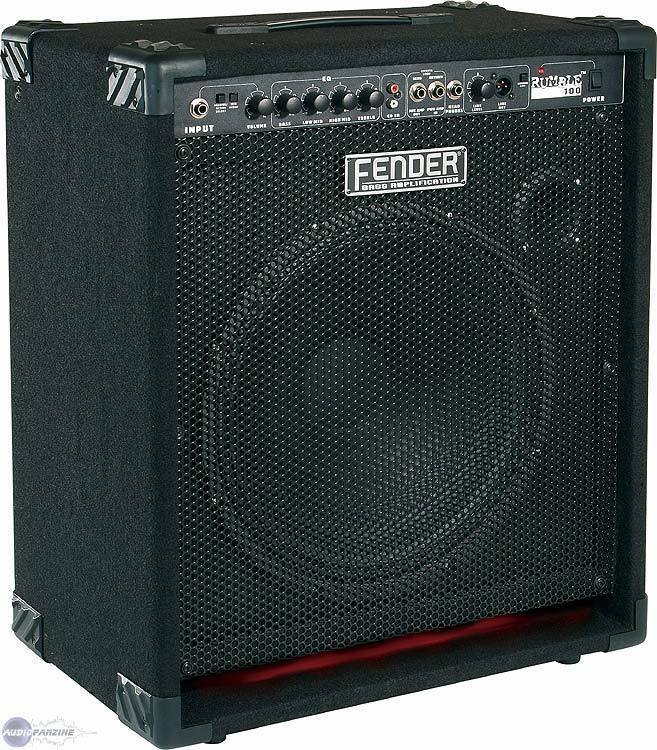 Rumble 100 Combo 1x15, Bass Guitar Combo Amp from Fender in the Rumble series. 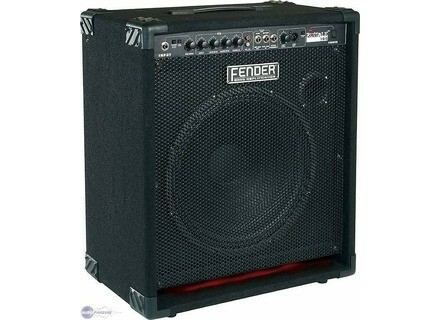 Product replaced by the Fender Rumble 100 V3. Fender is presenting its new Rumble bass amp at this year's NAMM show. Available in 15, 30, 75, 150 and 350-watt. All models (except the Rumble 15) feature adjust-to-taste overdrive that can be blended with pure, clean bass tone for better bass sound. The 1x10” Rumble 30 and 1x12” Rumble 75 models offer convenient tilt-back design for improved monitoring. The Rumble 75, 1x15” Rumble 150 and 2x10” Rumble 350 all boast special EQ features; the latter two also feature XLR outputs, high-frequency piezo horns with on/off switches, and ported enclosures. [NAMM] Fender 50th Anniversary Jazz Bass Fender is presenting its 50th Anniversary Jazz Bass at this year's NAMM show. [NAMM] Peavey Headliner Enclosures The Peavey Headliner bass enclosure line launches with the Headliner 410, Headliner 210 and Headliner 115, a trio of cabinets. [NAMM] Bugera BVV3000 The 300-Watt hand-built amp head features a trio of 12AX7s and a pair of 12AU7 tubes in the preamp section, and boasts six (6) 6550s in its output stage.